“A constant theme this survey showed was consumers desire to save on cost and time. Bricks-and- mortar stores offer a wide selection and many malls, superstores and department stores offer one-stop shopping convenience. Furthermore, shipping costs and the hassle of returns were other likely deterrents for online shopping,” concluded James Cook, Director of Retail Research, JLL. 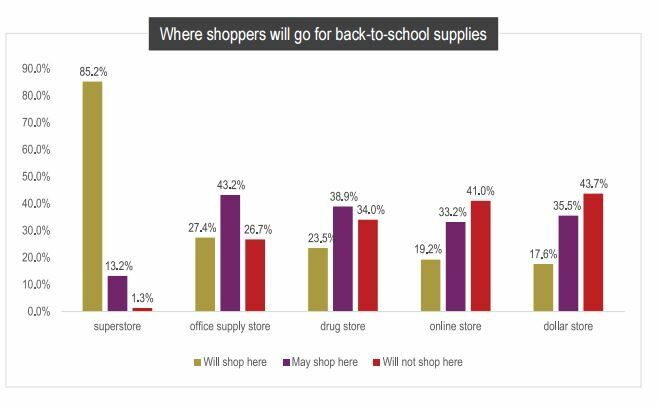 When asked why they prefer physical shopping, 42 percent said they like the ability to physically see, touch or try on merchandise, 34 percent want to avoid shipping costs and 33 percent like the convenience of one-stop shopping, according to data from the ICSC 2016 Back-to-School Survey.